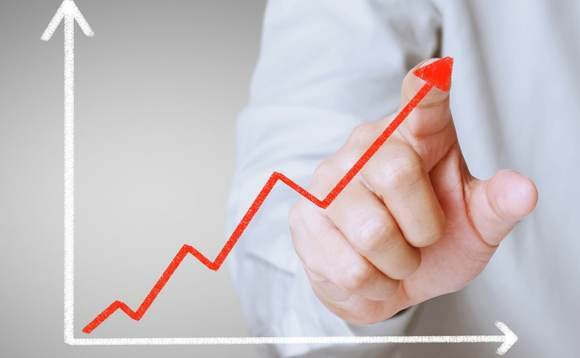 Eighty-eight percent of asset management company CEOs are confident about revenue growth in 2015, and this confidence level rises to 95% when considering growth prospects over the next three years, a PwC report has revealed. The findings of the 18th Annual Global CEO Survey, which includes responses from 155 asset management CEOs in 46 countries, echoed the conclusions of PwC’s ‘Asset Management 2020’ white paper which predicted global assets under management will exceed $100trn (€87.7trn) by 2020, up from $63.9trn (€56trn) in 2012. However, with fees under pressure from the rise of ETFs and passive funds, asset management CEOs remain vigilant on costs, with almost half (46%) aiming to cost cut in 2015 and 28% looking to outsource. While other sectors have tended to make greater use of technology, asset management CEOs are predominantly using it to deal with cost pressures with 88% reporting their main use for digital technology is improving operational efficiency, the report also revealed. Sixty-eight percent of asset management CEOs are concerned about availability of key skills whilst 63% fear mounting cyber threats, such as data security, which have become an ongoing business risk. Seven years on from the financial crisis, lack of trust in business remains a concern for 61% of respondents. Mark Pugh, UK Asset Management Leader, commented: “Asset managers face a volatile environment over the next three years. Future success in this sector will depend on attracting not only the most skilled investment professionals, but also talented people in areas such as technology and risk management, which 77% of asset management CEOs are planning to do. Asset Management CEOs see their future competitors coming from technology, financial services or business services. Already ‘robo adviser’ business models are appearing to threaten to disrupt wealth management through automating asset allocation. More than a quarter of CEOs (28%) reported entering a new industry sector over the past three years and a further 18% say they have considered doing so. PwC has seen asset managers disrupt banking by, for example, acquiring portfolios of real estate loans and lending to corporates. Alternative asset managers have broadened their product ranges to include private lending arrangements, primary securitisations and off-balance sheet financing. China and the US are viewed as the most important countries for growth prospects, with additional growth coming from emerging markets in Asia and Latin America. PwC’s survey shows a fifth of asset management CEOs plan to grow through cross-border mergers in 2015 and more than a quarter through domestic mergers – a far higher percentage than for the rest of financial services. On the regulatory front, asset management CEOs’ anxiety about tax issues continues. Sixty-seven percent in PwC’s survey state an internationally competitive and efficient tax system should be a government priority in their country, although half see government as having failed to achieve this. However, they do see some benefits from regulation with 53% saying improved regulatory coordination is increasing cross-border capital flows.